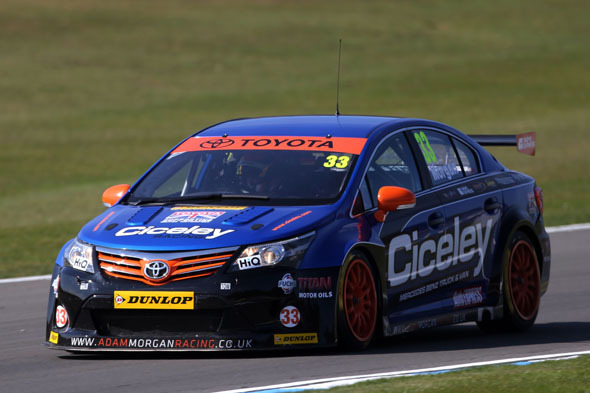 With a perfect run of scores so far in the BTCC, Adam Morgan leads the four Toyota BTCC independents to Thruxton this weekend, hoping that his luck will hold for a top result. Morgan, 24, holds sixth place in the overall Driver’s Championship, and is second in the Independents Trophy, seven points behind leader Andrew Jordan. Adam is one of only six drivers to have scored in all six BTCC races held so far this year. 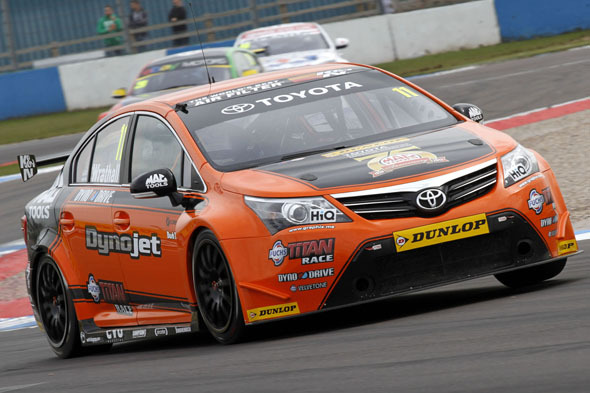 It was anything but dry last year at Thruxton, but the torrential rain did not dampen the enthusiasm of Dynojet Racing’s Frank Wrathall, whose Avensis recorded a fifth, a fourth and then a brilliant third, holding off Jason Plato in the finale. After a disappointing Donington, where Preston-based Frank endured a trying weekend of car problems, including a turbo boost issue which blunted his pace, he is hoping for better: “I think we’ve got to the bottom of our engine problems; we will be giving it a run on the dyno before the meeting, and hopefully it will be back to full health. We had good pace at Thruxton last year and the Toyota has felt absolutely mega so far this season. We just need everything to come together, a bit of luck on our side, and I am sure the results will flow. 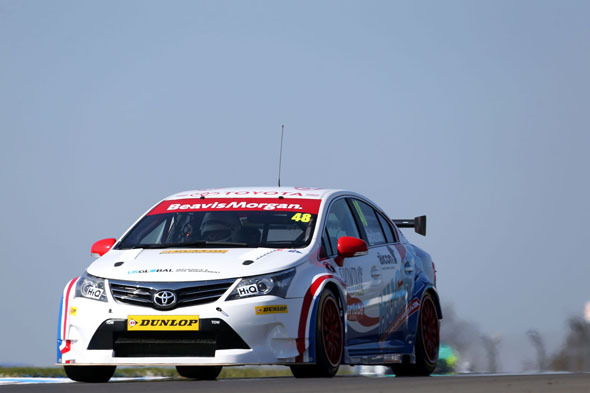 Also looking for better luck this weekend are the two Toyota drivers from Speedworks Motorsport, Dave Newsham and Ollie Jackson, both of whom pulled out of the Donington finale after incidents. Inverness-based Newsham has scored in three of the six races and holds championship 12th, one place behind Wrathall. Norfolk’s Jackson is 19th overall. Sunday’s Thruxton races will all be shown live on ITV4 and itv.com; the first of the three is due off at noon.